This is an article by guest writer Mark Foo, author of The 77 Traits of Highly Successful People. Unexpected challenges are what make us stronger, so don’t avoid them. Keep in mind the following 50 tips and you’ll be able to streamline your life and get back on track in the New Year. Recycle old papers that are filling drawers in your house. If you’re anything like me, you have drawers overflowing with old receipts, junk mail, records, and notes to myself. Get rid of all of this. Invest in a paper shredder to reduce clutter and maintain privacy. Mentally prepare yourself for change by visualizing your ideal self. Who do you admire the most? How do you envision yourself in the future? Who do you want to be? Visualize yourself to be that person. Ask people you admire how they got where they are today. I’ve always admired my grandfather. Learning more about how he started up his business, dealt with difficulty throughout his life, and maintained grace throughout it all has helped me in my personal endeavors. Cut back on alcohol, cigarettes and other vices. These can be crutches that cloud judgment. The money saved by not purchasing or cutting back on this type of material can then be put into something rewarding such as a vacation. Remove elements of negativity from your life, be they people or a job you don’t want to do. If you have friends who are bringing you down, there’s no need to keep hanging out with them out of obligation. Cut your ties and cut your losses. 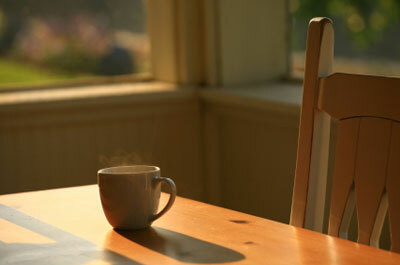 Start each day with a clear to-do list along with your cup of morning coffee. Knowing what you need to do in the day ahead helps keep you on track. Clean your house from top to bottom and throw away anything outdated. Not only receipts, as mentioned above, but any old junk that should be donated to charity or sold in a garage sale. Institute a clear filing system for your personal records. Investing in a simple filing cabinet and folders with labels is something you don’t need a personal secretary for and makes your life much easier when you are looking for a specific item. Do your grocery shopping for the week on the day it’s most convenient. Make a list, budget, and get only what you need to save time and money. Take a career test that will help you identify your strengths. If you are unhappy with your career but don’t even know where to begin in the process of moving on, this can be a good way to identify strengths and new possibilities. Meet with a professional counselor if there are issues you need to discuss. Many people are struggling with dead weight from the past or emotional baggage that is holding them back. Deal with them and move on with professional assistance. Go through cabinets and throw out expired medications or food items. The last time I did this, I found everything from 3-year-old curry powder to 5-year-old aspirin. Throw them out. Make a clear diet plan with an emphasis on whole grains, fruits and vegetables. A healthy diet plan has a tremendous effect on your overall energy levels. Add vitamin pills to your daily diet. Vitamin supplements can help reduce the possibility of cancer and osteoporosis, among other disorders. Work out a clear exercise plan with an activity that you enjoy such as dancing or biking. My girlfriend loves yoga, and I am a soccer enthusiast. As long as it’s active, it counts. Set appointments you’ve been putting off. It’s easy to put off going to the doctor or dentist until we are sick, but preventive care is extremely important in overall health levels. Take up a mental exercise. Crossword puzzles, Sudoku, or other word games along these lines are more than just a good way to pass time. They have been shown in studies to help improve overall mental capabilities. Publish your own book. This is easier than ever before with Internet publishing. You can get your ideas out there and start making money from them. I’ve published my own eBook, The 77 Traits of Highly Successful People, check it out. Make a reading list and join a book club. Most people state that they want to read more, but without an actual plan you may not make the time to do this. Joining a book club not only serves as a social activity but also keeps you up to date with your own reading list. Practice breathing exercises or meditation. Stress can have an overarching effect on our overall productivity levels. When stressed, I personally forget to breathe at times. Take the time to take deep breaths and improve oxygen flow to the brain. Speak and act with honesty. Are you able to stand by what you do and say? If not, it may be time to reexamine your own words and learn to articulate your thoughts in an open, honest way. This helps eliminate mistakes down the road. Learn from past mistakes. Everyone makes mistakes. Usually, we make a lot of them during our lifetime. As long as they aren’t repeated too many times, and are looked at as a learning experience, they can in fact be a good thing in the long run. Volunteer to help others in your community. Helping others is a rewarding way to get your own life together. Take up a new language or hobby. Read inspirational biographies. For new ideas, find out how others got their lives in order. Talk to a stranger. Unplanned conversations can be surprisingly inspiring. Reconnect with friends and relatives who live far away. Call those people you miss but keep putting off calling. With the Internet and Skype at your disposal, even an online chat can help you reconnect. Change your toothbrush. It can be a hotbed of bacteria. Take more naps. Sleep is often sadly underrated in its ability to boost energy, mood, and keep reaction times sharp. Drink at least 6 cups of water per day. Staying hydrated helps keep energy levels up. Organize your photo collection. Get both digital files and physical printouts in albums. If you’re anything like my family, your photographs could be sadly sitting tucked away in shoeboxes in the closet, taking up space. Take an interest in art in your community. Visiting galleries can help introduce you to the artists in your community and help stimulate thinking. Join a hobbyist club. My friend decided to learn more about building model airplanes and was so deeply into it that he recently obtained his commercial pilot’s license. You never know where a simple hobby can lead you in life. Keep a calendar with commitments. Having a visual reminder in front of you can be extremely helpful. We are all different types of learners. Don’t put off difficult conversations. Deal with problems directly and immediately. This will result in a much lower level of anxiety for all involved. Make a list of priorities and do what makes you happy. If you have lost touch with your own priorities lately, it can be beneficial to take the time to sit and think about what actually makes you happy. Work toward achieving this as much as possible. Spend more time outdoors. Nature has an ability to help soothe a troubled mind and clear your thoughts. Taking a walk in the woods or climbing a mountain, at any level of difficulty, gives a sense of pride and accomplishment. Attend lectures. These could be science lectures or other types, but it’s helpful to keep up-to-date on what’s going on in the world and plan accordingly. Keeping the mind active helps you in all aspects of your daily life. Take the time to stretch muscles. Get a massage to improve muscle tone and circulation, then use this new energy and apply it to your work routine. Make laughter a priority. Hang out with some of your most entertaining friends for a good laugh, or simply sit back with some favorite old comedies. Laughter counts as exercise and has been shown to expand your life span. Clear some time each day to do nothing. As a child, I remember that we had “free time” scheduled into our school activities every day. This could be used for reading, drawing, or simply staring into space if that’s what we felt like doing. What a novel idea, and one that keeps the brain at ease. Learn new tips for entertaining. You don’t have to be Martha Stewart to throw a great dinner party, and learning how to be a host or hostess with minimal effort can give a big boost to your confidence levels. Throw out old clothing that doesn’t fit. Too many of us are squeezing into outdated clothes that are doing us no favors. Look and feel your best with clothes that are tailored to fit. Live in the present, not the past. The past is over. Move on and enjoy every moment as it occurs. Take stock of what needs to be accomplished and move forward with this information. Learn from past mistakes and move forward with your life. Get your life in order by looking forward, not back. Get your car checked up. You go to the doctor to have your body checked up. Don’t wait until it is too late to perform maintenance on your car. I once got stuck on a road trip to Ipoh (Malaysia) as a result of this oversight, and it wasn’t pleasant. Budget for possible home repairs. Set aside some money in the proverbial cookie jar to keep home maintenance within the realm of possibility in this coming year. Do you have a tip to help us get our lives in order? Please share in the comment section below! Mark has brought together 48 personal development bloggers and writers to co-author The 77 Traits of Highly Successful People eBook that spells out all the secrets of very successful people. This eBook is available to you FREE. Grab your copy now at http://www.77SuccessTraits.com.